January 27, 1898 Born Born at Chatham, Ontario, Canada. March 13, 1916 Enlists Enlists at Chatham, Ontario with the 186th Overseas Battalion. 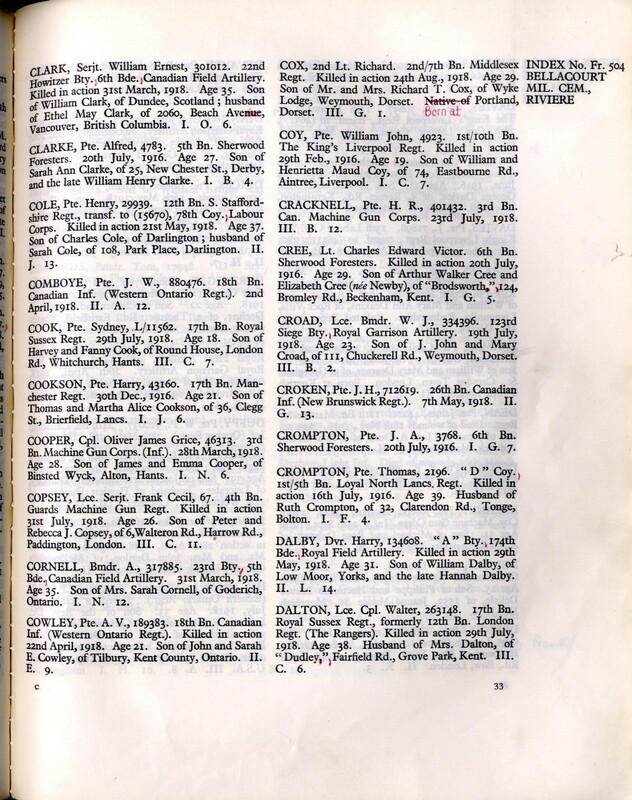 His next of kin is listed as his mother, Elizabeth Comboye. He is living at Blenheim, Ontario and lists his trade as a farmer. He is one-month past his 18th birthday and stands 5’6” and weights 125 pounds. 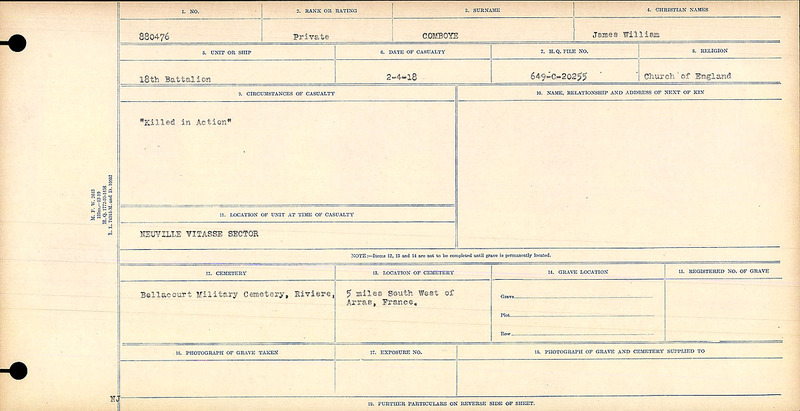 February 27, 1917 Writes Will Designates his mother, Elizabeth Comboye, as his beneficiary. March 25, 1917 Embarks England Embarks at Halifax, Nova Scotia aboard the S.S. Lapland. April 1, 1917 Assigns Pay Assigns $15.00 per month to his mother. 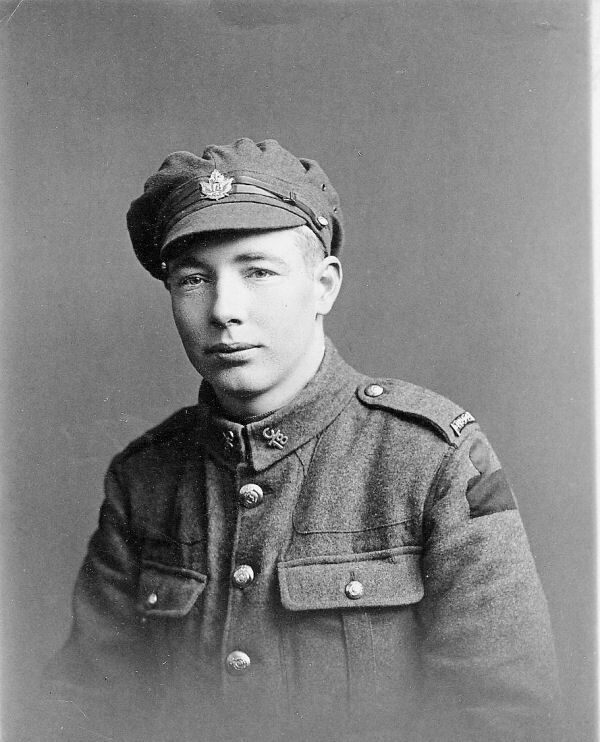 April 7, 1917 Debarks England Lands at Liverpool and transports to Bramshott Camp. 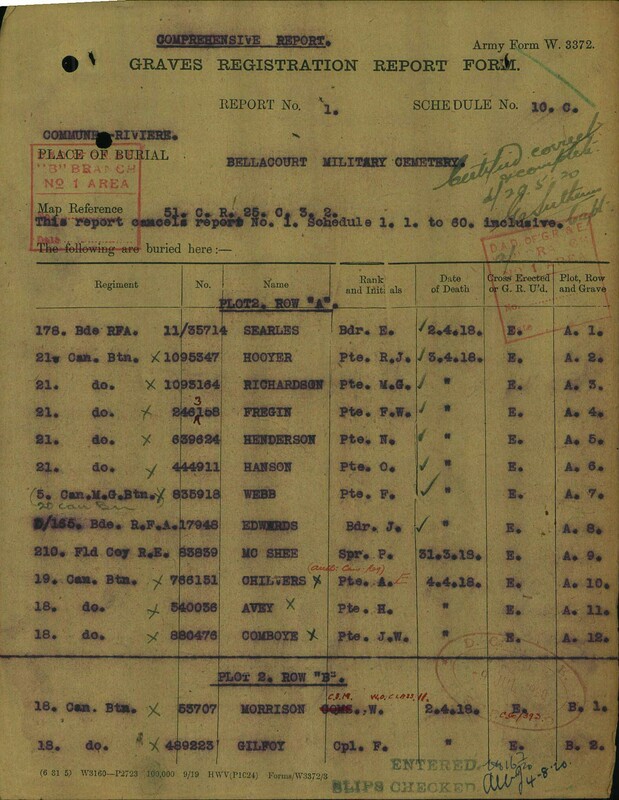 April 7, 1917 Transferred Transferred to the 4th Reserve Battalion. June 16, 1917 Transferred Stuck of Strength 4th Reserve Battalion and transferred to the 18th Battalion. June 17, 1917 Arrives France Arrives at No. 2 Canadian Infantry Base Depot, Etaples, France. July 8, 1917 Arrives at the 2nd Canadian Entrenching Battalion. 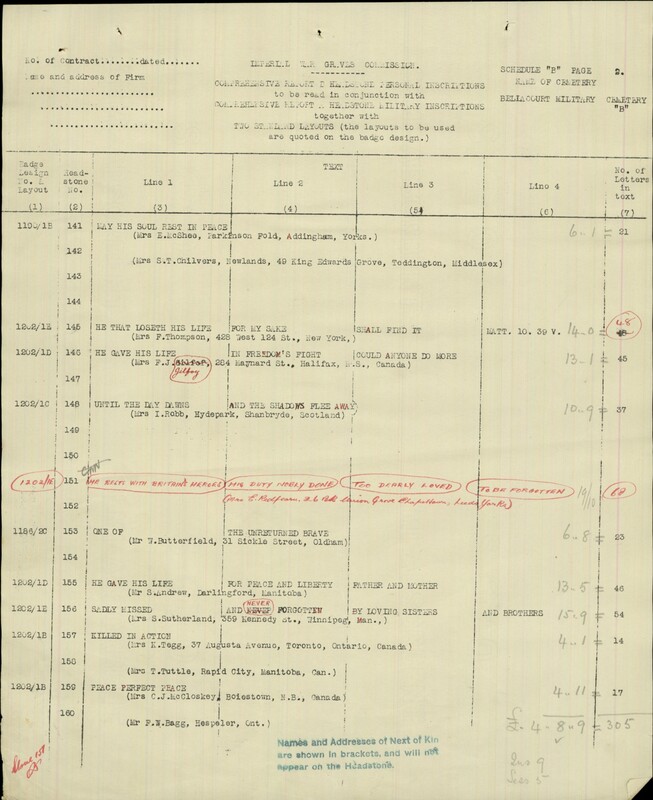 July 31, 1917 Arrives 18th Battalion After a short assignment to the 2nd Cdn. Entrenching Battalion, arrives at the 18th Battalion. The Battalion was carrying out general training at Bouvigny that day. 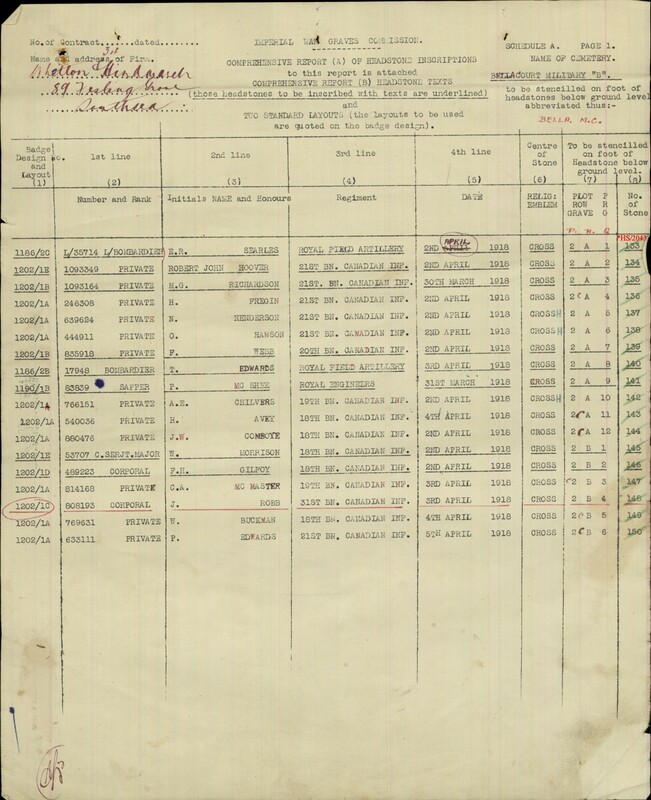 April 2, 1918 Killed in Action The War Diary relates that 3 other ranks where killed and 30 wounded due to “erratic shelling”. He is buried at the Bellacourt Military Cemetery along with eleven other members of the 18th Battalion.